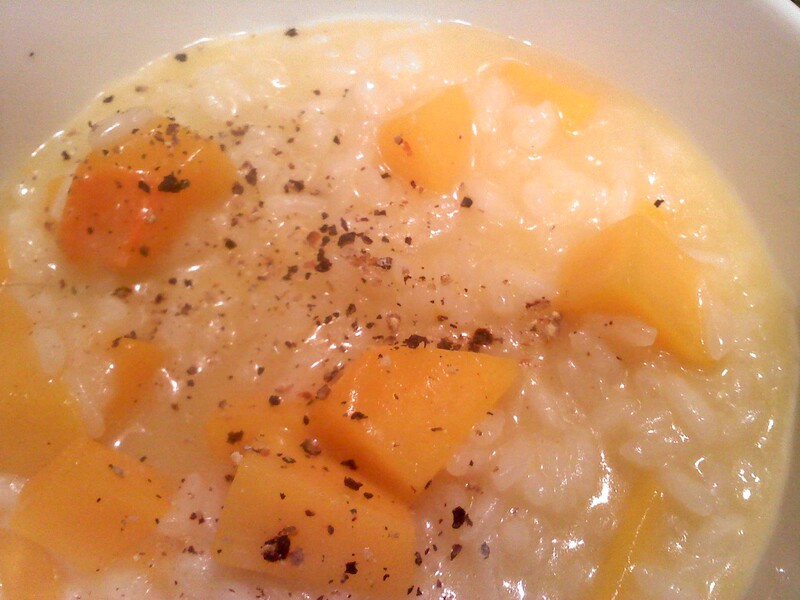 A hot steamy bowl of butternut squash risotto is one oozing mouthful of fall goodness. Topped with a bit of fresh pepper, the dish seriously melts away any chill of the evening. Hints of the pinot gris wine, vegetable stock, and freshly grated parmesan all combine into a delicious accompaniment to the fresh butternut squash (that always screams fall) and arborio rice. I used Martha's recipe, omitting the fresh sage (sadly none to be found in my fridge or wilting garden) and substituting freshly ground pepper for garnish. I also probably used 1.5 times the amount of the butternut squash.